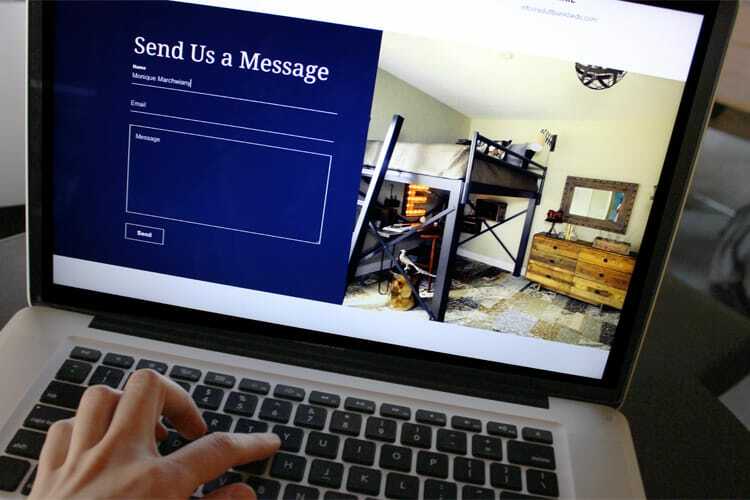 Francis Lofts & Bunks is an e-commerce website selling contemporary adult-sized loft. Space in one’s home is an issue. Whether it is an apartment, condo, or house, we can always use more space. Francis Lofts & Bunks has a solution that allows you to keep your adult-size bed and save space with their modern loft and bunk beds. 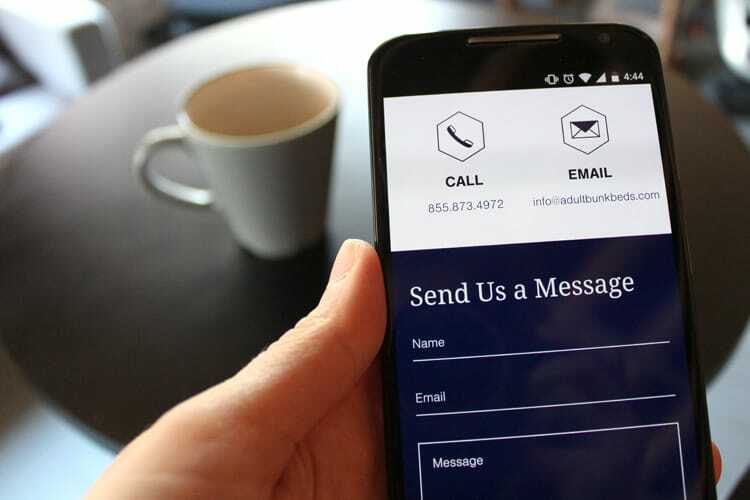 In spite of this solution, their branding was beginning to look outdated and website was not mobile friendly. In addition, their site was not easily customizable with the themes Shopify could provide. 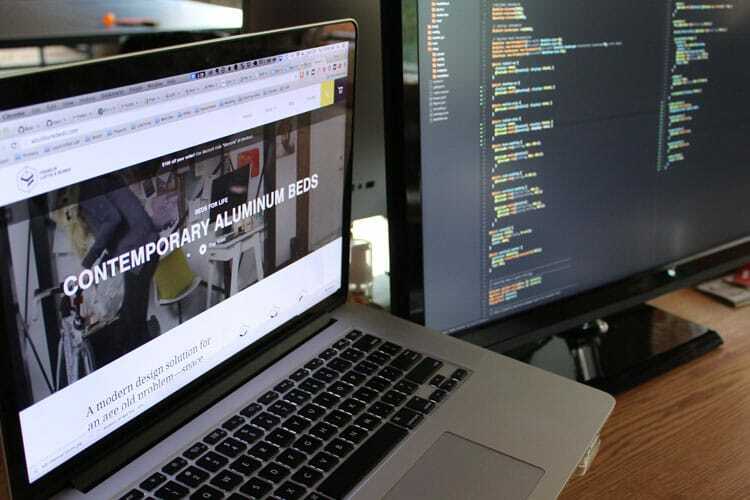 We sat down with one of the co-founders, Ryan, to get a better understanding of the message that he hoped the new branding and website could convey to their customers.First we had a discussion about the company, including the types of beds they sell, and the audience they hope to reach. We reflected on his thoughts about the current logo and website. We also did a quick word association exercise, where together we created a list of words that best describe the company, its products, and its goal. All the information we gathered served as the foundation for how we would design the logo and structure the user experience for the site. 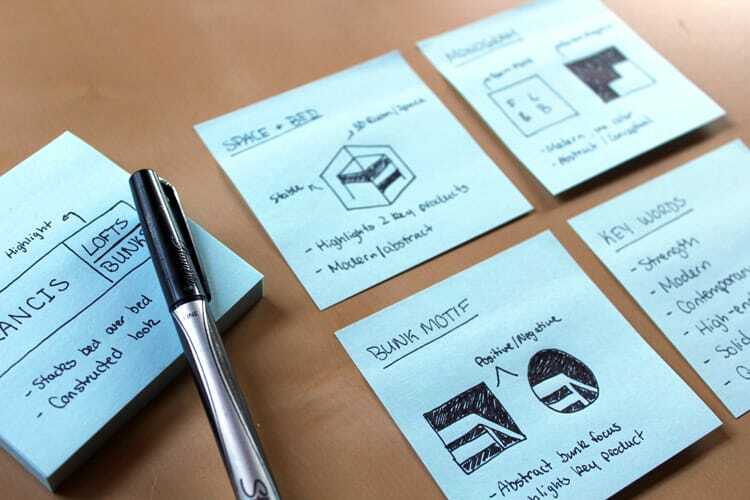 We began by first designing the logo and creating a style guide to encourage consistency across the brand. The logo itself includes a representation of their two primary products in a slightly abstracted form. The hexagonal shape of the logo represents a 3D space and how both a 3D loft and bunk bed can fit inside this “room.” The hexagonal motif is repeated in several areas throughout the site to increase cohesion. The typography pairing helps add a contemporary, high-end feel. In terms of the color palette, the navy was selected to evoke a sense of stability and elegance, which is contrasted with a yellow to show joy and energy. Lastly, the various images throughout the site show how seamlessly these beds can fit in a wide range of spaces. We began with a complete rebrand of the company, meaning we designed a new logo, established a new color palette, and outlined typography guidelines to follow. 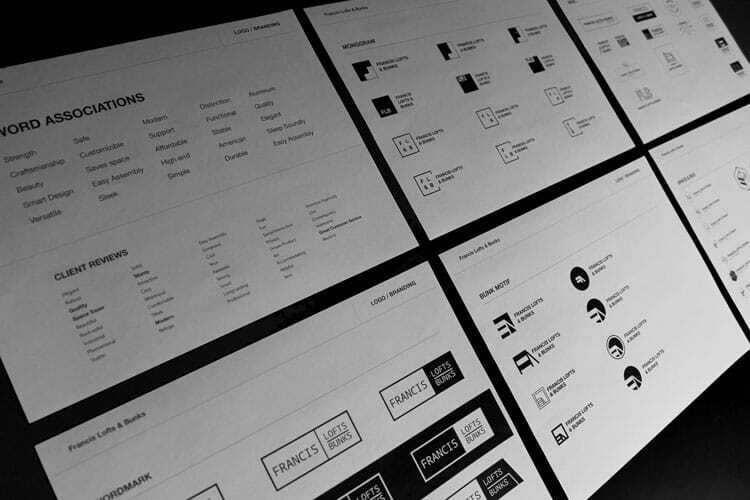 This style guide was then used to guide the design of the website. 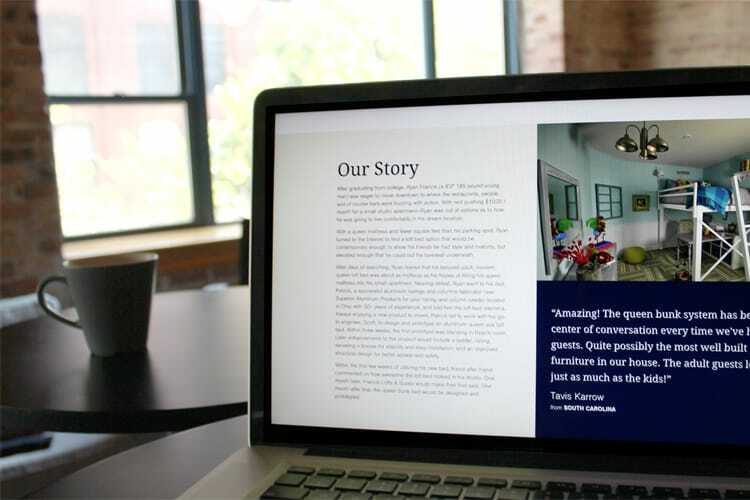 The site was built to be fully responsive to enhance the mobile experience. 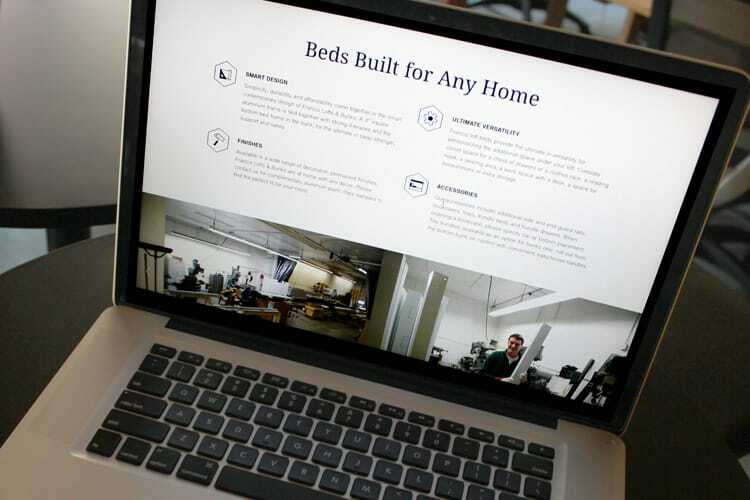 We streamlined the bed buying experience to help increase conversion rates by improving the flow of the product page and restructuring the content hierarchy. 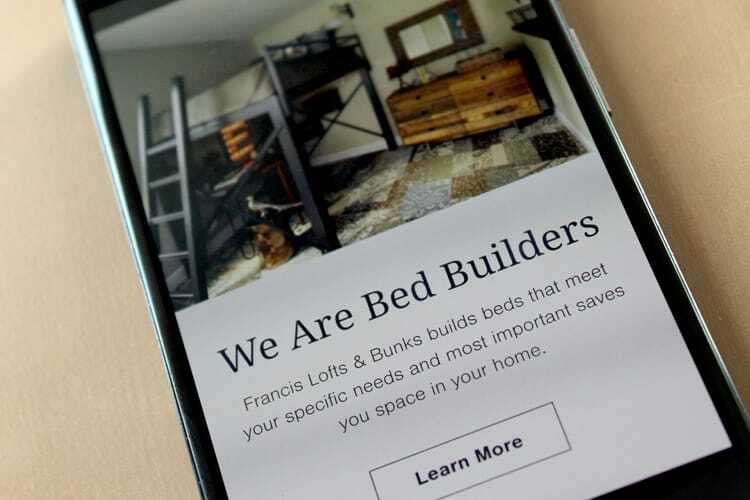 We continue to work with Francis Lofts & Bunks, not only to carry out the new branding in various mediums, but to also make enhancements throughout the site to increase conversion rates.We know that branding does not simply stop with a logo. It is important to consider how that logo gets used on both print and web materials. Currently, we are working together on new business cards, shirts, and other marketing material, along with expanding their style guide. In addition, we will be adding additional pages to the website that will answer any questions that users have about the beds.